Not when you are imitating me on Wikipedia. 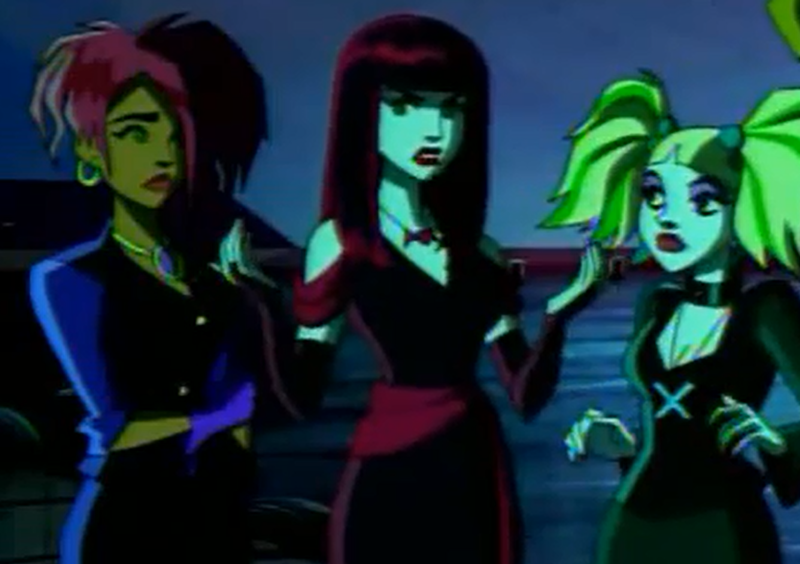 So I was looking up some Scooby Doo episodes (I have kids, I am allowed) and I discovered that much of the "information" on the Hex Girls actually came from my blog here. I'd go in and change it, but frankly I am too busy and find I don't honestly care. In truth I find it a bit amusing and I am kind of curious to see if anyone else catches it. Thorn is as confused as I am. Yeah, yeah I am obsessed with a band that doesn't exist and are secondary characters in a cartoon. Clearly you're the most knowledgeable source on the subject. I hope they at least cited you. 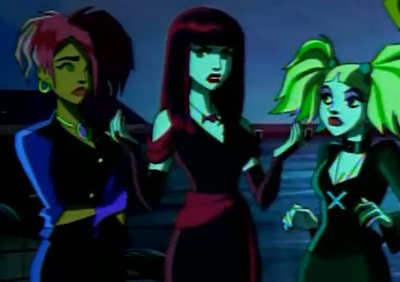 Ah so you were the first person to call Dusk Muffy St. James and Luna Kim/Kimberly Moss. Rather amusingly you appear to have "named" Dusk and Luna, I've seen the names you gave them used on at least seven sites now.